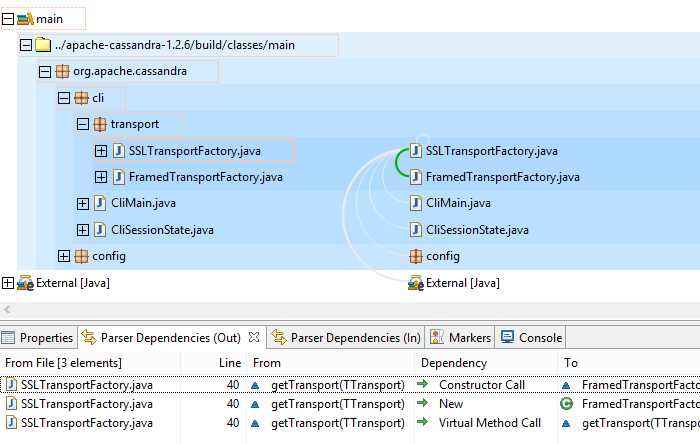 Arc selection: By selecting an arc and having the Parser Dependencies (Out) view in front, it is possible to see the underlying parser dependencies for that specific arc. Element selection: By selecting only one element and having the Parser Dependencies (In) or (Out) in front, it is possible to see the underlying incoming or outgoing parser dependencies of the arcs that come into the node or go out of it. View option synchronization: Parser Dependencies views (in and out) support the synchronization of the 'Show only violations' view option with the current value of this same option in the Exploration view. 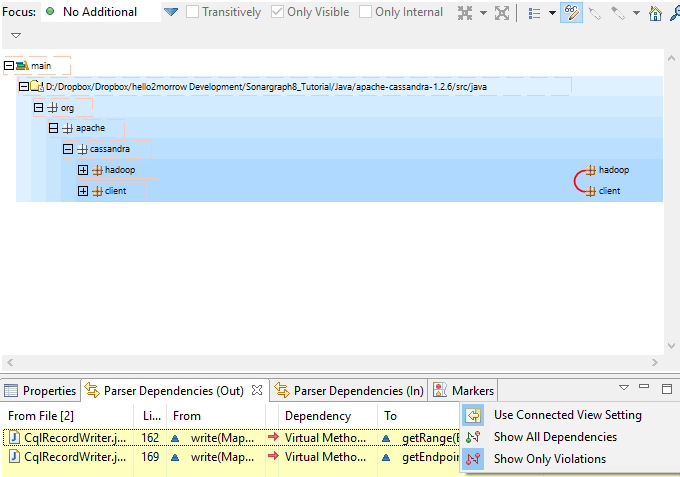 To enable this feature select 'Used Connected View Setting' in the Parser Dependencies view and Sonargraph will set the correct value from the Exploration view.